It is time for NATURE CRAFTS!! As you may (or may not) know, my two most favourite craft mateirals, are RECYCLABLES (such as TP Rolls) and Nature Finds. 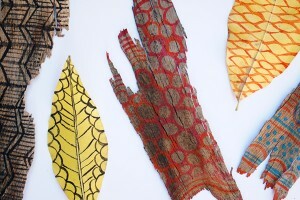 I love recycled crafts, as I love to ?waste not want not? ? i.e. make the most of the things we have around us. I love teaching my kids these values ? something that others throw away, can be turned into something wonderful. 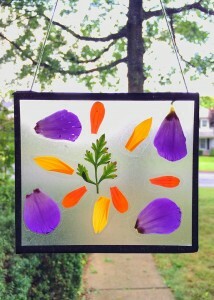 And I love Nature Crafts, as I love how this brings us closer to Nature and our local environment. Also, I have a lot of my own very strong childhood memories of crafting with Nature (especially Autumn Nature Crafts!!!) and it is something that I want to pass on to my children. 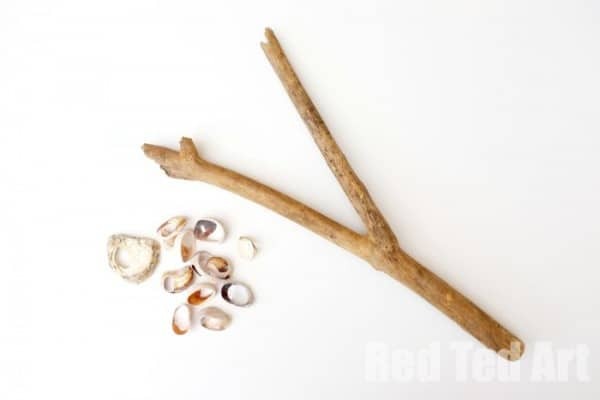 Today, we have a BEACH Nature Craft ? to be honest, you can make it with other things too ? 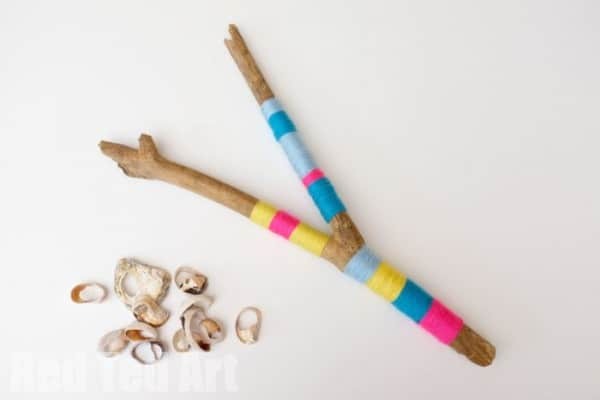 but this Musical Instruments made from beach or drift wood and broken shells is just the perfect craft to actually do AT THE BEACH too. All you need is an additional elastic band?? 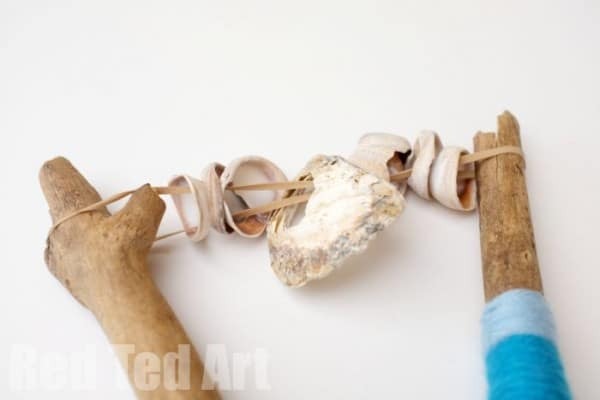 and if you want to jazz up your drift wood first, you can either paint it or yarn wrap it. 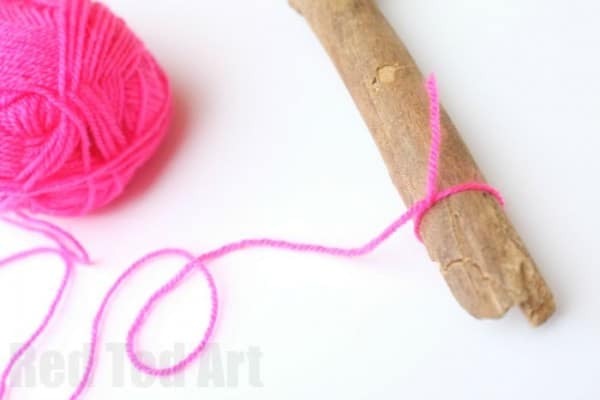 Today, we went for yarn wrapped sticks. Simply because we love the feel and texture of wool and how it contrasts to the smoothness of the drift wood. 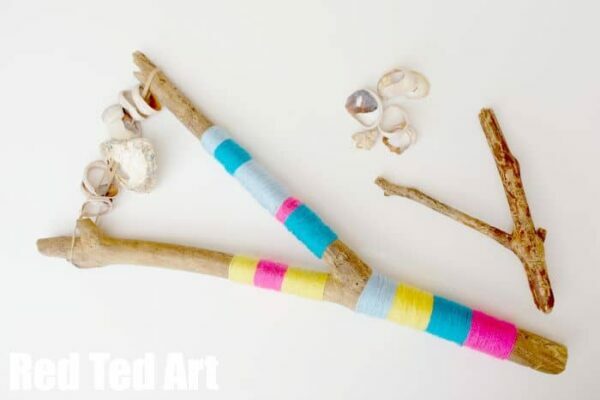 If you are decorating your sticks first, you probably want to complete this craft at home (rather than get sand all over your lovely wool). As to my ?OLD? Nature Craft ? it is so so soooooo hard to pick one. 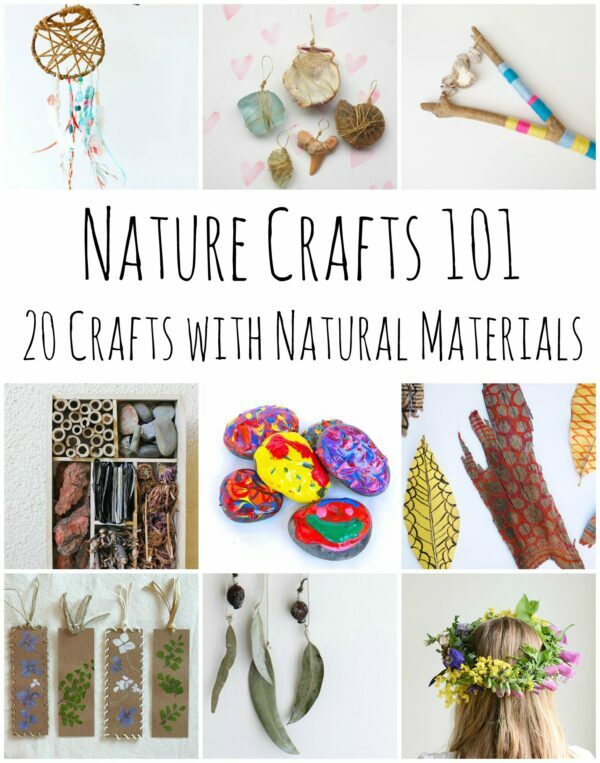 As mentioned, we love crafting with nature.. and when I last looked, there were 115 (!!!) posts in my Nature Craft category ? there will be something there for every age group! I think I will be cheeky and pic one that is kind of two crafts ? 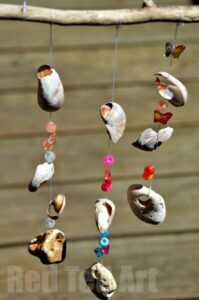 the Nature Mobile/ Nature Windchime! I pick BOTH of these, as the concept is similar ? 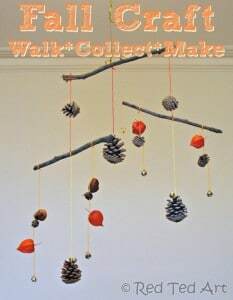 see what you can find locally and turn them into a decorative ?hanging thing?. This is something you can do throughout the Seasons, in order to REFLECT the Seasons and really help your child understand their local environment and how things change. It is all about what materials YOU can find in YOUR area!! Yarn wrapping really is quite straight forward! The trickiest part is the part about securing your wool and changing colours.. and as you can see from our Yarn Wrapping photos.. it really isn?t too tricky at all!!! Start wrapping. The best bit is ? you don?t have to be too neat ? i.e. 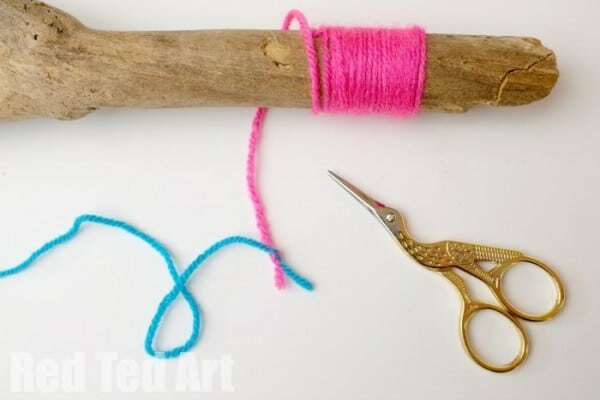 you are allowed to wrap yarn over itself. 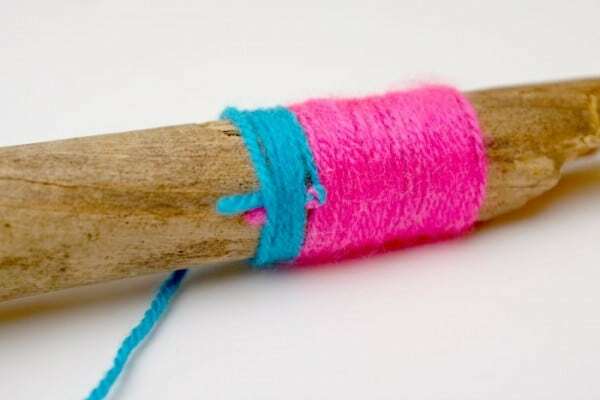 Just make sure that there is no wood peaking through, keep pushing the yarn down ?Onto itself?. 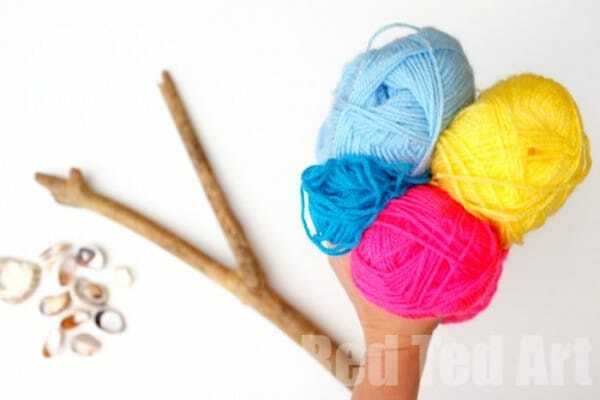 When you get to the end, simply loop the yarn through itself a couple of times ? a bit like a know and the with something point (like your scissors) poke it in behind the existing wrapped parts. That is how easy it is! Again, this is super easy. 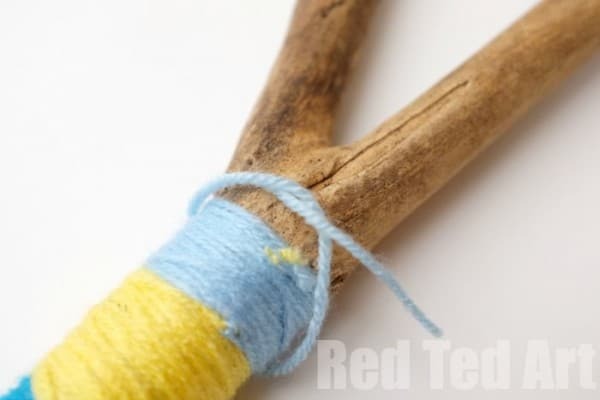 Loop your elastic around one end? stretch it.. and start threading your shells! 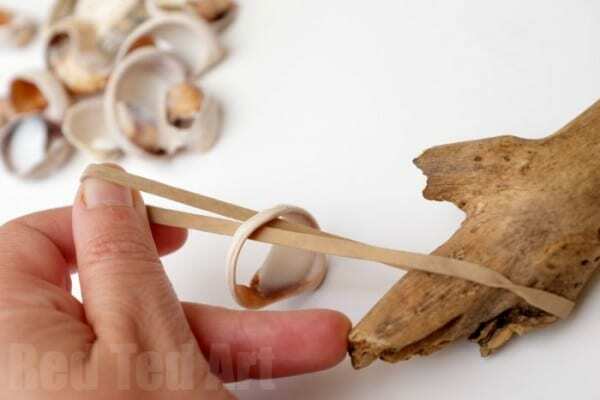 If your shells have smaller holes, keep these in the centre of your rubber band, as the band will be most stretched here and fit through the holes best.